Cut each avocado in half and remove the seed. Preheat oven to 400 degrees. Cut a small slice on the bottom of each avocado half to create a flat surface so they won’t roll. Crack an egg into each avocado half where the seed was. Season the top of the avocado and egg with salt and pepper to taste. Evenly add the shredded cheese to the top of each avocado. 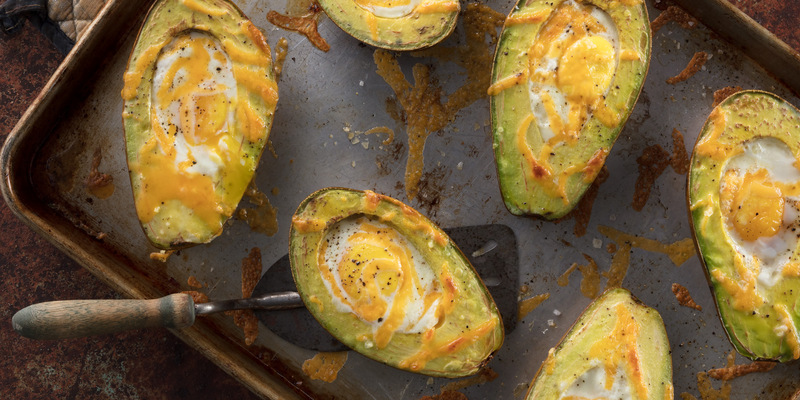 Bake stuffed avocados for 10 to 15 minutes or until the egg reaches the desired doneness. Remove avocados from oven and serve with toast.